Welcome to my blog! 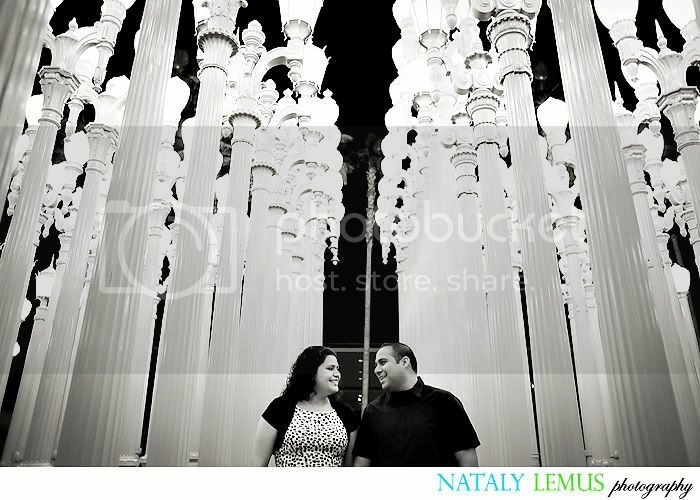 I am Nataly Lemus, a Los Angeles wedding photographer, and I am only 1/2 of the Nataly Lemus Photography team. The other half is my husband, Art. In this blog you will get a glimpse into our life as photographers and even what goes on with our personal life. 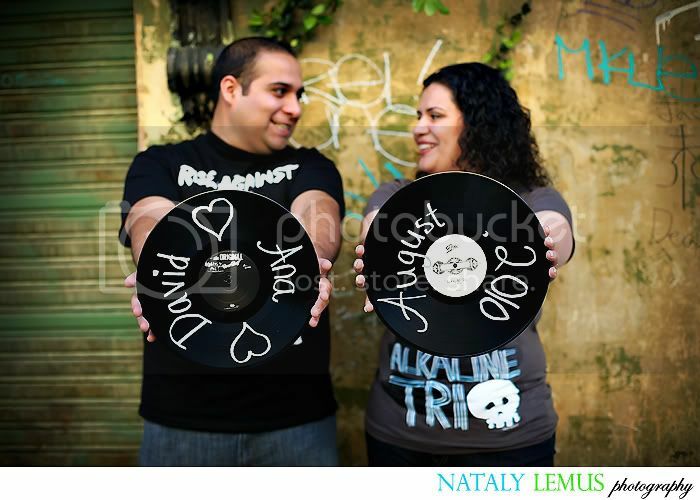 Ana & David ~ Engaged! From the moment we met with Ana & David I thought they were awesome people. 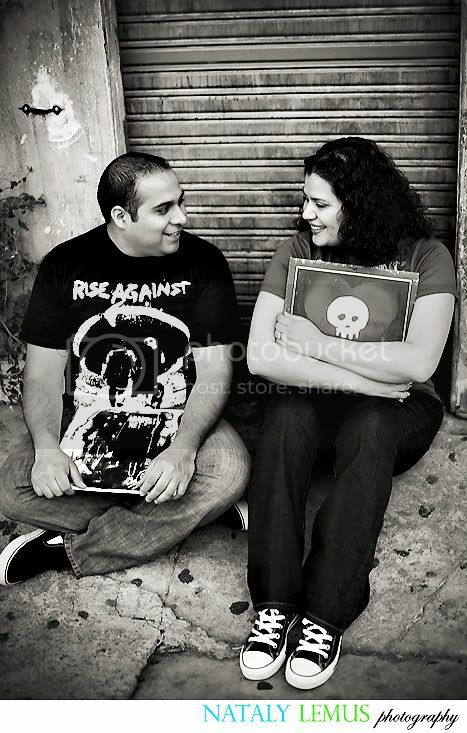 However, when they surprised us with pizza during the second part of their e-session I was over the moon with them! Food is the fastest way to my heart, you know! Why pizza, you may yourself? 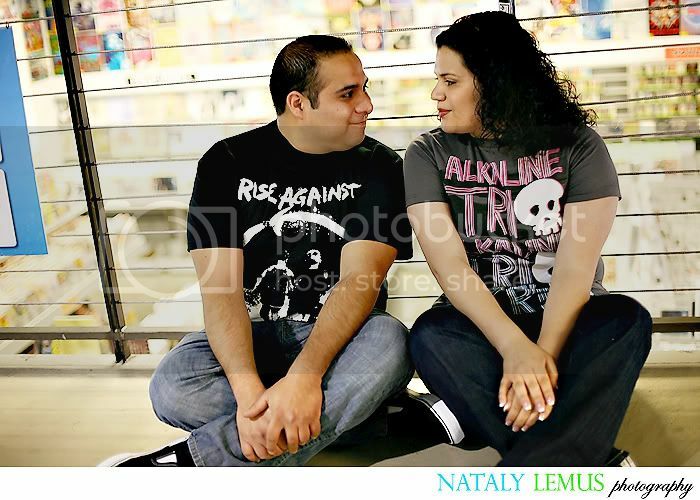 Well, Ana and David got engaged at a pizza parlor they go to all the time. They told us all about it during our initial meeting. Unfortunately, we had not had a chance to check it out. So since we could not go to the pizza place, the pizza came to us! I must say it was one of the best I've EVER had, especially because it came from our awesome couple! 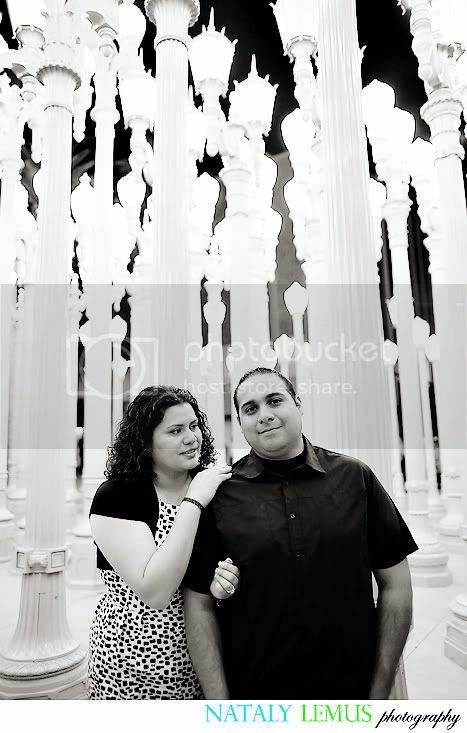 Let me tell you a little about Ana & David's engagement session. 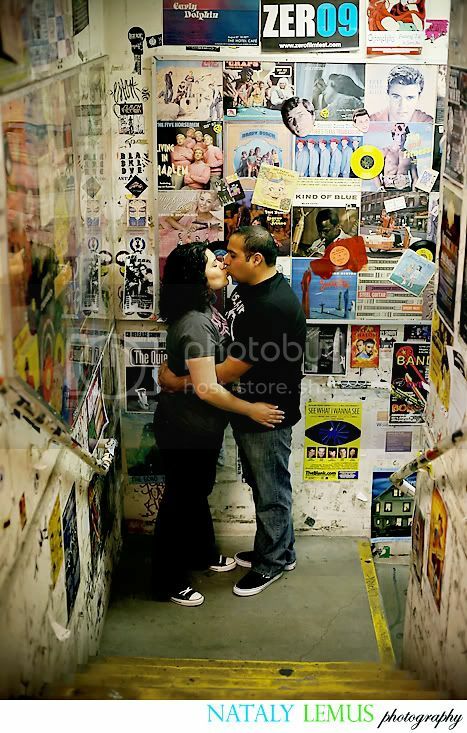 They decided they wanted to use a location that was totally them, so they decided on Amoeba Music in Hollywood. I loved the location! It was so different from what we are used to and you know that makes this photographer a happy girl :) We had to sneak around but it was soooooo worth it! Isn't this a cute idea? I took out the date because I don't like to put people's wedding date out from everyone to see on the 'net until it's passed. I've heard some scary stories! Ana & David: Thank you for being so thoughtful and kind. I can't wait for the wedding! Hugs! Wow! What a cool location (record shop)!!! What a beautiful couple! Glad you liked the pizza! We definately LOVE the pics and can't thank you enough for all your wonderful work. 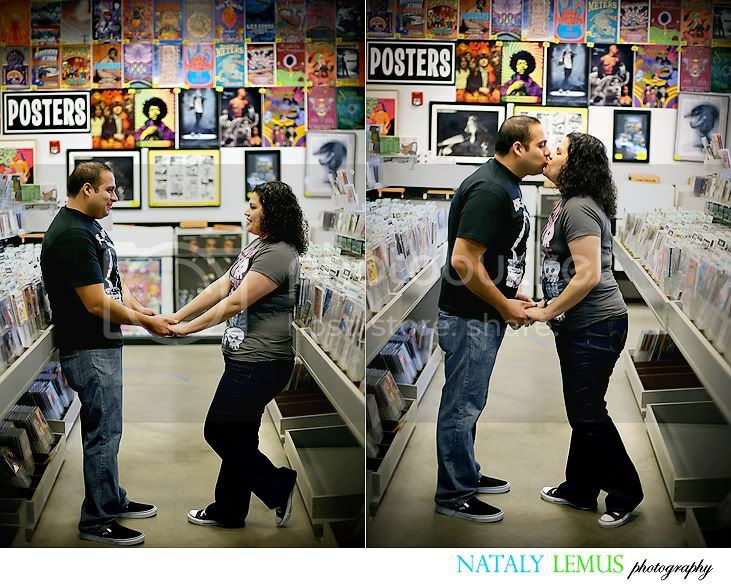 I love Amoeba and what a brilliant idea to take pictures there! 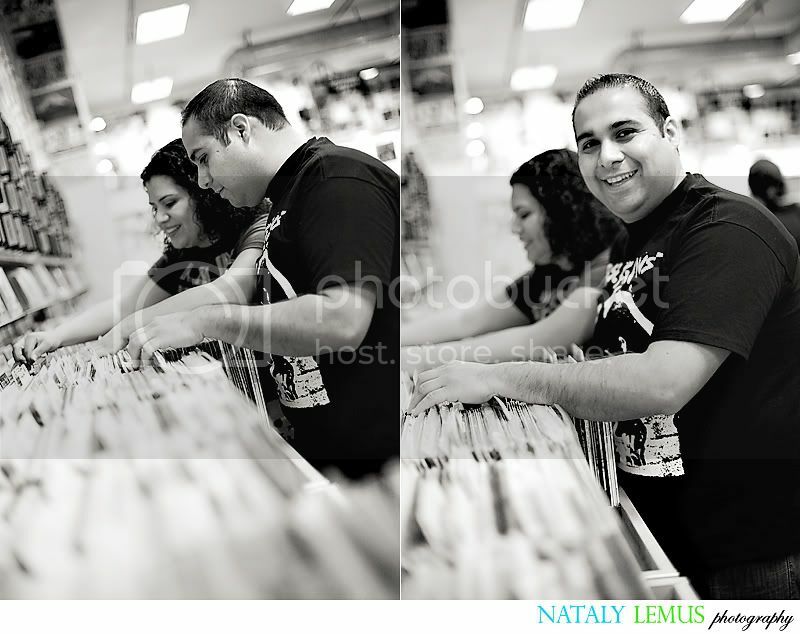 The record/album date pictures are awesome! What a wonderful idea! 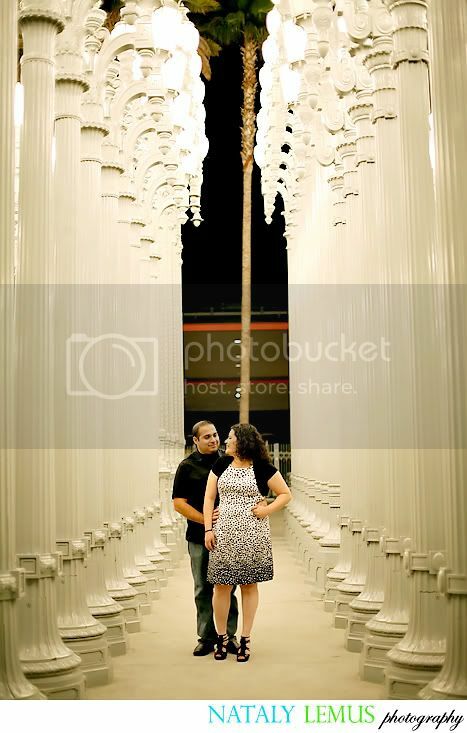 I'm glad you got a chance to take pictures over by lacma. That's where the light posts are right? You have me in suspense, where's this pizza place? I must try it! Debra & Greg ~ Married!